Education is a two-way process of communication between the teacher and the students. However, the traditional model of classroom education favors more of one-way communication only, which is not good for learning. Active participation of the students is very crucial part of the education. Nowadays, the idea of the interactive classroom is gaining popularity, where the students are encouraged to engage in productive and mutual efforts along with the teacher to achieve the learning goals. Technology is playing an important role in this regard. The devices like the interactive whiteboards are the important tools to create a so-called interactive classroom, using the below ways. A healthy competition is a great way to encourage the students to participate in group learning process. For instance, students can be divided into teams and debates can be organized on the topics related to the forthcoming topics. During the discussion, the points mentioned by the students of each team can be recorded on the interactive whiteboard. At the end, the whole class can come together to conclude the debate. Curiosity leads the students to think, and thinking promotes learning. Therefore, it is important that the teacher generates curiosity among the students. 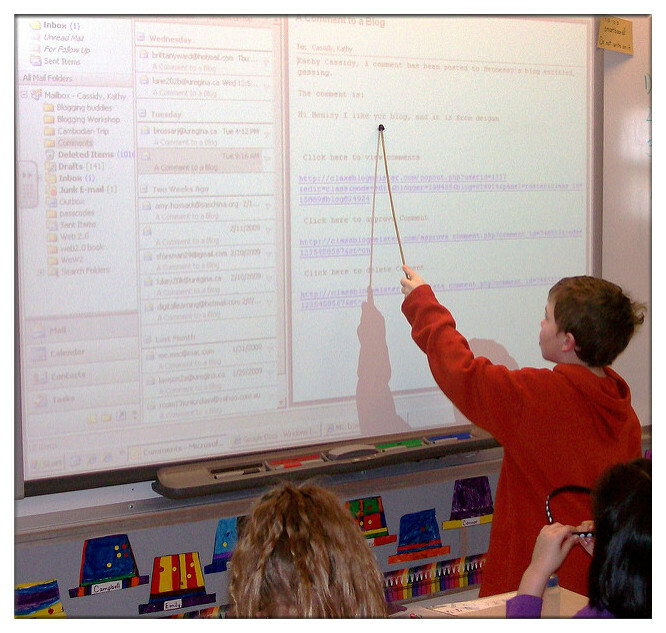 In an interactive classroom, it can be done by showing an open-ended question on the electronic whiteboard when the class starts, related to the lesson to be taught in the classroom. Then the students should be encouraged to express their views on the question. This will create the necessary warm up and curiosity before starting the lesson. Find the mistakes in an example also helps in solidifying the concepts learned as well as learning their practical application. It can be done in any class. On the interactive whiteboard, the teacher can show a paragraph, a piece of code, a mathematical proof or some science diagram, and ask the students to find what is wrong with it. This will trigger the students thinking and improve their learning. Today's world is full of technological innovations. Therefore, the present generation is not able to relate to the traditional ways of classroom learning. However, they are more inclined towards technology and learning through it. Therefore, it is better to encourage their learning in that direction by actually using technology in the classroom and teaching them about the ongoing technological developments in the world. Apart from the ways mentioned above, a teacher can do a lot to create the interactive classroom using the technology at hand. Also, it is now intuitive to move in this direction rather than keep using the old traditional ways.